The traditional screwdriver with very specific product benefits. Higher torque can be transferred by fitting an open-jaw or ring spanner over the hex bolster that is welded to the blade. A double leather cap combined with the blade that extends right through the handle provide additional safety and reduce the danger of a splintering of the handle when struck with a hammer. With pound-thru blade out of high quality bit material. As a result, loss-free transfer of power, even in the case of hammer blows. 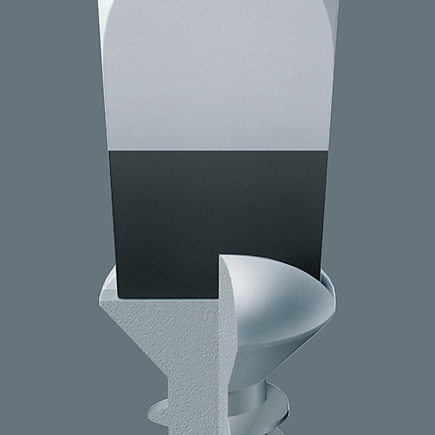 The material prevents any splintering or breakage of the blade. 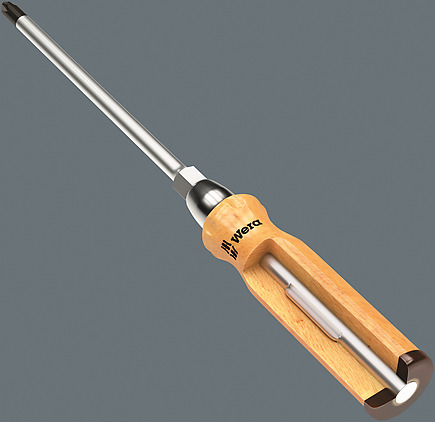 High quality screwdriver made out of hard beech wood that ensures a long product service life, even when the tool is subject to high strain. The double leather cap combined with the blade that extends right through the handle provide additional safety and reduce the danger of the handle splintering when struck with a hammer. 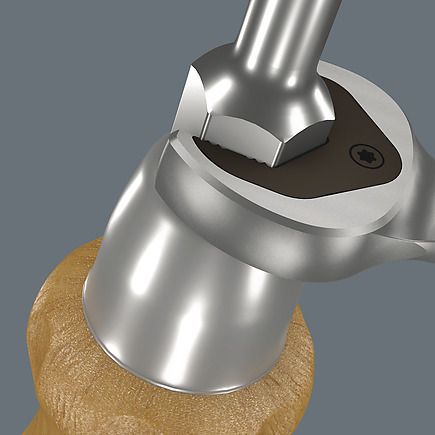 Higher torque can be transferred by fitting an open-end or ring spanner over the hexagonal bolster. 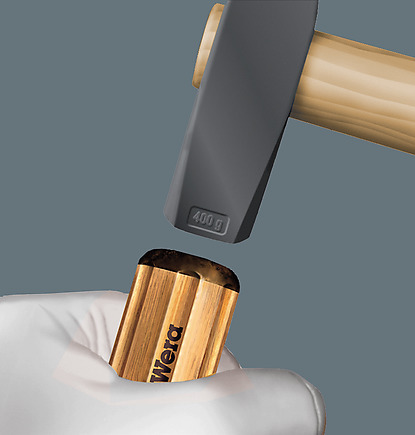 The Wera Black Point tip and a complex hardening process ensure a long service life of the tip, enhanced corrosion protection and an exact fit.